In 2008 in Gerash, a small city in the south of Fars, Iran, a bogus company gained the trust of a wide range of small and big investors. A large part of these investments was never returned to the owners, resulting in a series of frantic conflicts between the investors and the shareholders. 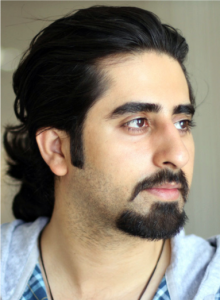 Keivan Mohseni is an independent short film maker in Iran. He has made seven short and documentary films until now and has participated in a lot of international festivals. He makes his films with small budgets and takes on the major responsibilities in filmmaking himself. The short documentary “Kayeh” and the short film “Out of This” are his acclaimed works in many festivals around the world. Bog is his latest film.